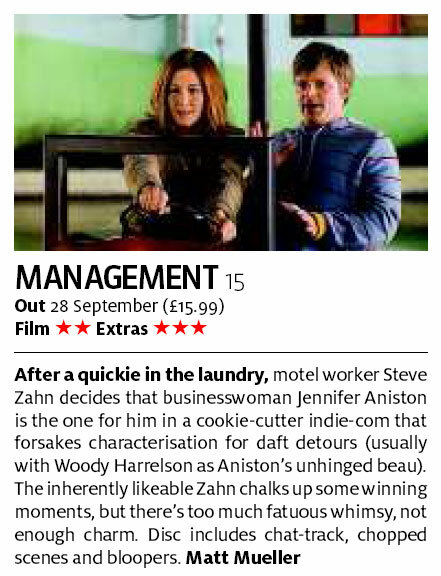 After a quickie in the laundry, motel worker Steve Zahn decides that businesswoman Jennifer Aniston is the one for him in a cookie-cutter indie-com that forsakes characterisation for daft detours (usually with Woody Harrelson as Aniston’s unhinged beau). The inherently likeable Zahn chalks up some winning moments, but there’s too much fatuous whimsy, not enough charm. Disc includes chat-track, chopped scenes and bloopers.